Last week I went to an event for the launch of Nanoblock in the US. The launch event took place at the very cool Konokuniya Book Store on Bryant Park in Manhattan. I love this Japanese book store filled with all my favorites - Anime, Hello Kitty, sleek stationary and assorted kitsch of the best kind. I also enjoyed the upstairs cafe, stocked with delicious Japanese pastries, sandwiches and green tea. One of the very best parts of the Nanoblock event (besides learning about Nanoblock, of course) was meeting the host Melissa of Married my Sugar Daddy, who is just as awesome and vivacious in person as her online persona. It was a pleasure to (finally!) meet the equally awesome and vivacious Mitch of Gay NYC Dad and Jennifer of Take 2 Mommy. And, it is always a treat to get to see some of my favorite online bloggy buddies who I rarely see in the light of day, including Michelle from everythingsabuzz and Kerri from Raising Three Savvy Ladies. 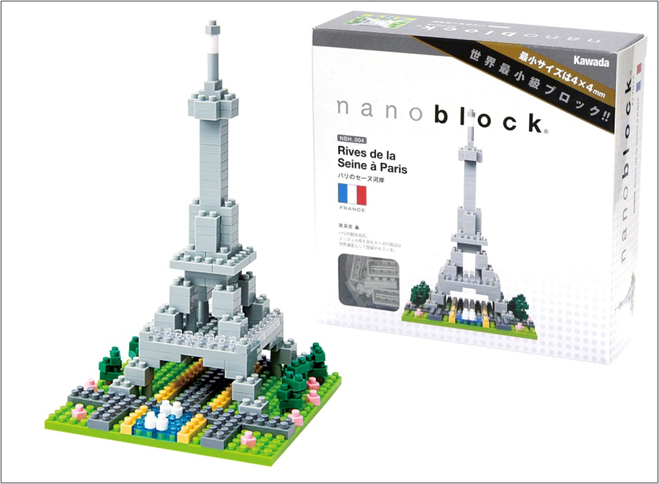 I was excited to learn about Nanoblock, because my daughter Kay is a building enthusiast. 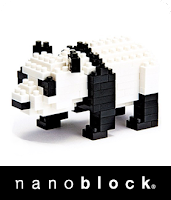 Nanoblock are tiny, micro blocks (the smallest toy building blocks in the world) that come in kits with all the blocks needed to make a single creation, such as an animal or building. Each piece has a patented double feather design that makes them fit together easily, and to stay put once they're connected. 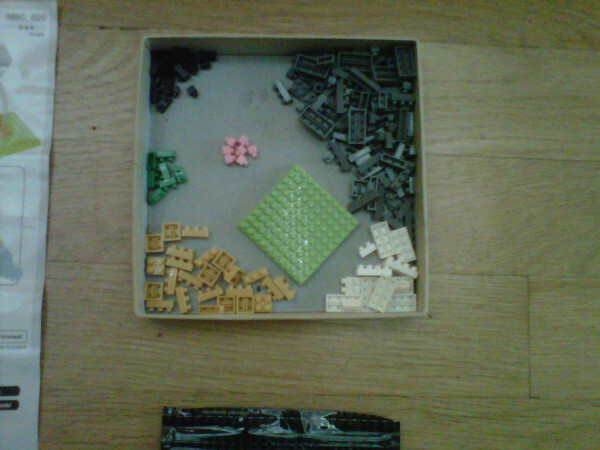 And don't worry every kit includes a few extra blocks. Kits range in number of pieces contained, as well as in difficulty to build. At the higher hobby levels, Nanoblock kits can contain thousands of pieces and take twenty-plus hours to build. My five-year-old daughter and I tried to build a "Level 3" koala that proved a little too much for the fledgling Nanoblock skills of my daughter, and me. But my daughter had fun sorting the pieces, and I enjoyed working on a "mother-daughter" project together. Undeterred, we went to the store and got a "Level 2" giant panda (over 150 pieces) that is coming along nicely. For a full list of stores carrying NanoBlock, visit the Store Locator. I received a gift bag at the NanoBlock event, but the opinions here are my own. 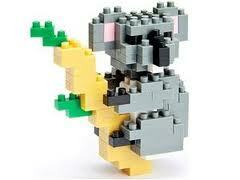 As is my growing Nanoblock obsession. OOO. Cal is going to LOVE this. Very cool. Sorry I missed this event. Looks awesome. I can't wait for Bubba to be old enough for this stuff.